Sparkle all day with our classic dew drop crochet numbers. Danglies to dazzle the party or just distract the boss – favourite St Erasmus. Why not collect from our rainbow of colours. And if you are wearing something a little blue on that special day – these are perfect for the wedding. Beautiful authentic natural stone small drops for a feminine touch to highlight that new purchase - or to add a highlight to another day in the office Lovingly handmade by St Erasmus Artisans. Presented in gift box for safe storage. Comes with drawstring dust-bag. Includes 12 month warranty. Beautiful pearl and clear crystal zari crochet drop earrings suspended by gold chain to give a free spirited bohemian feel. 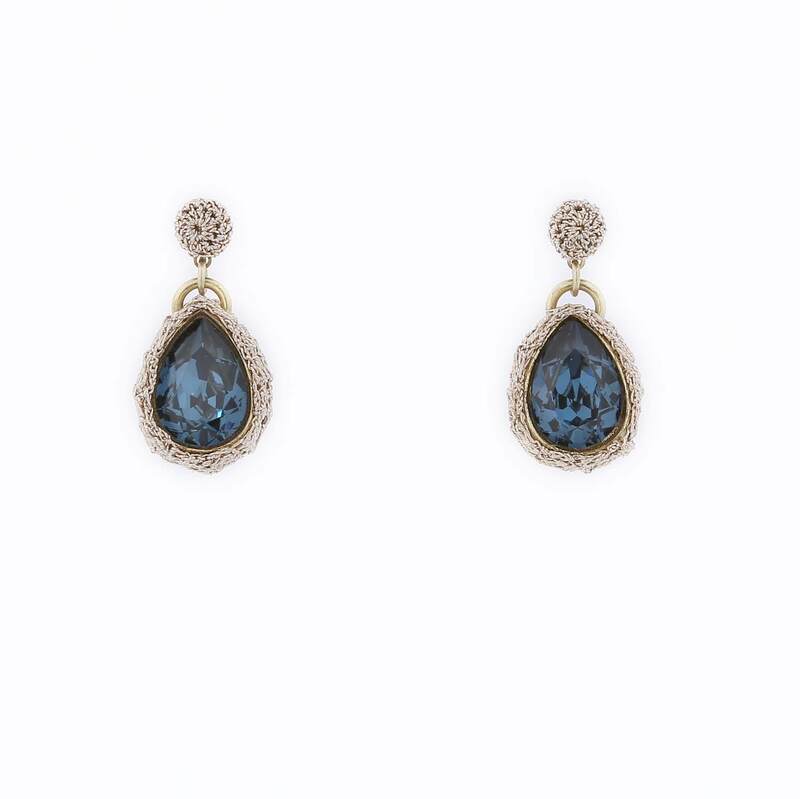 Topped by a surgical steel earring stud covered in crochet mesh with Swarovski crystal and acrylic stones. One of our most popular for brides and matches well with ivory and cream as well as silver gowns. Lovingly handmade by St Erasmus Artisans. Presented in gift box for safe storage. Comes with drawstring dust-bag. Includes 12 month warranty. Feeling a bit floral today - try this light touch day or night wear daisy style earring. One of our many popular classic crochet crystal styles that never goes dull Lovingly handmade by St Erasmus Artisans. Presented in gift box for safe storage. Comes with drawstring dust-bag. Includes 12 month warranty.